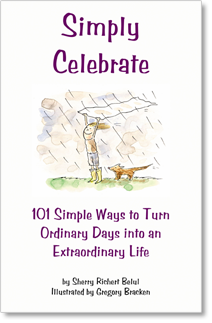 This is a whimsical book of 101 ideas for bringing celebration into everyday life. For yourself or as a gift, this e-book will help make your days livelier, more fun, more generous, and more spontaneous. Make them simply extraordinary. Order today and start celebrating right away! Please note: We use the secure PayPal website so you can pay with any major credit card, debit from your bank account or use your PayPal account.